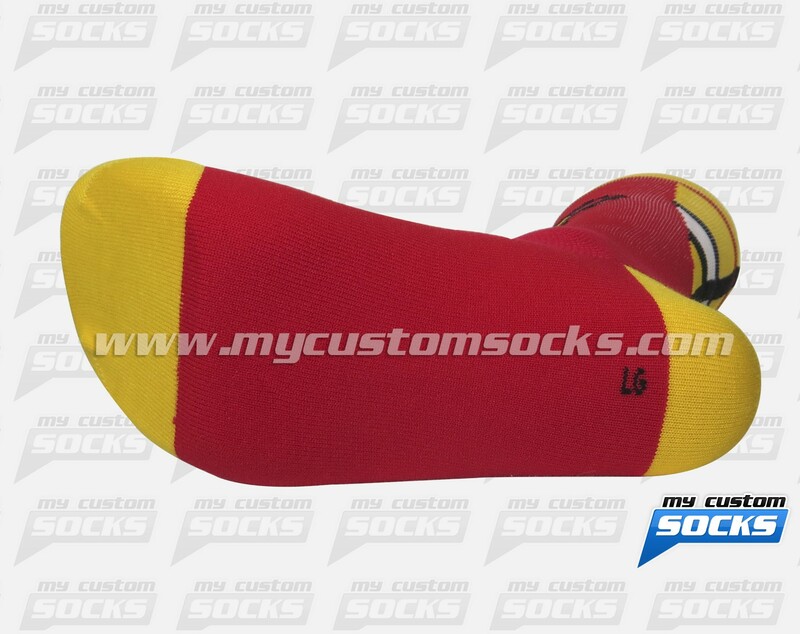 Team Custom Socks was thrilled to work with Ultimate Sportswear LLC in Scottsdale, Arizona. 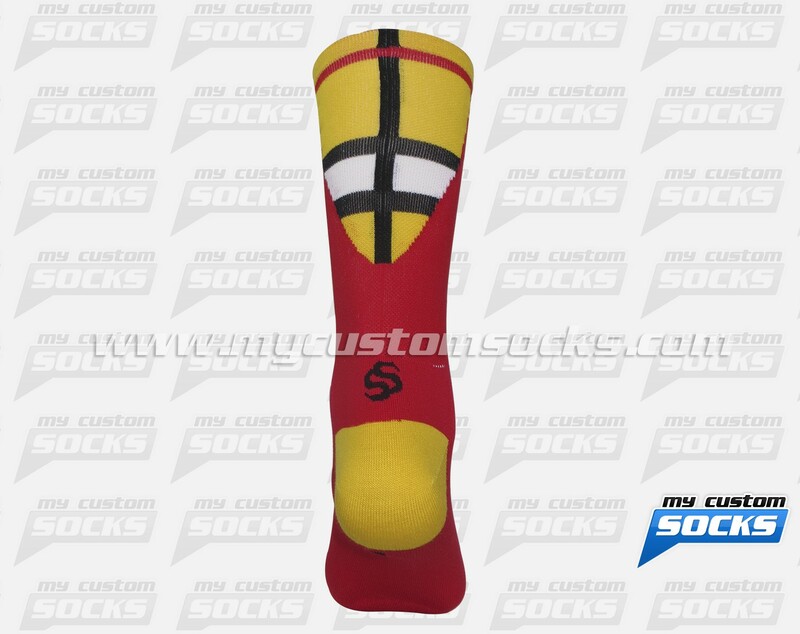 They needed customized socks to give away at a tradeshow. 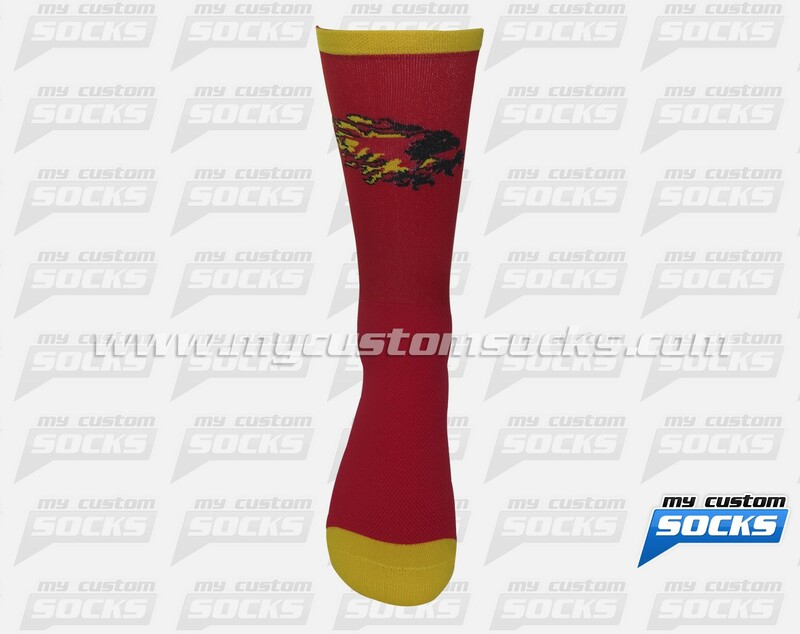 They wanted colorful medium calf sock with their Firebird logo on the front. 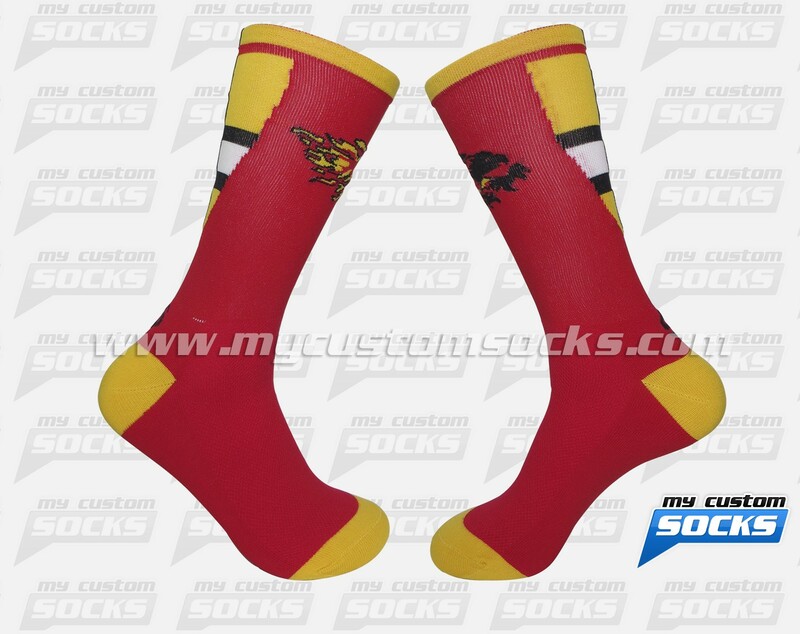 They loved the 7 inch red and gold elite style socks sock that our team designed for them. Top of the line fabric was used in the production of these socks for added comfort and durability. Their custom socks were a big hit at the event.